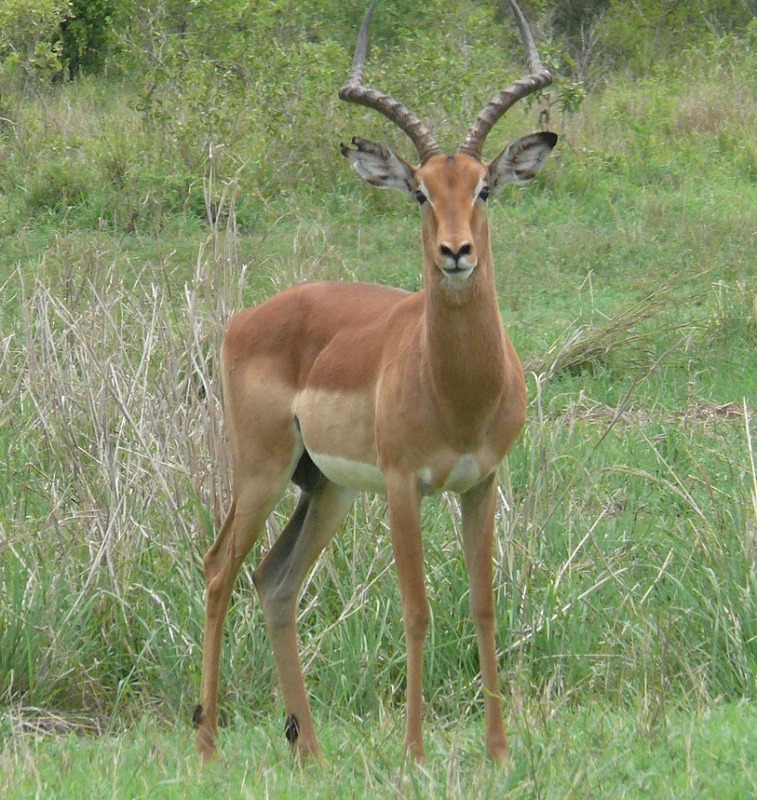 Impalas have coat that is a glossy chestnut brown color. Darker on the back and upper flanks. They have a black stripe down the back of the tail and also two black stripes down the buttocks. Notice the white patches above the eyes. The ears are large with black tips. 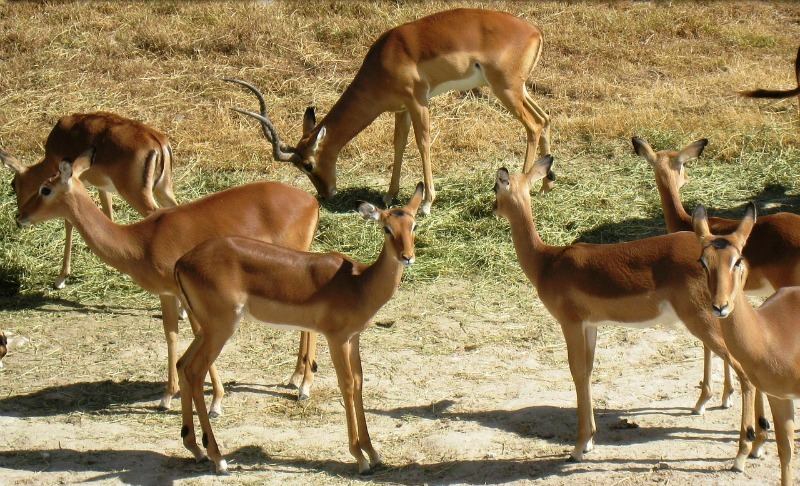 Impalas prefer habitat in the savanna and open woodlands of eastern and southern Africa. They are found at grassland and woodland edges, and are dependent on water. 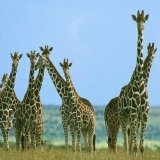 Theses African animals will therefore usually stay within 8 kilometers of water. 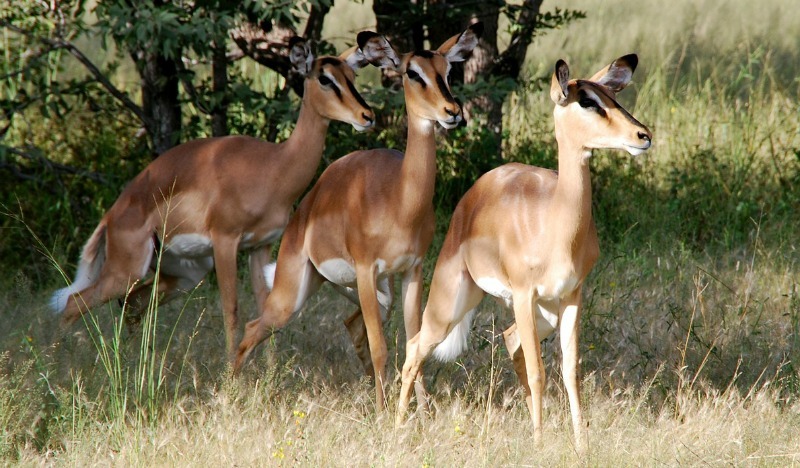 Impala are selective browsers and or grazers according to what is available. They can adapt to different environment by grazing when green grass is available and browsing at other times. They eat fruit, flowers, bark and acacia pods. They are dependent on water and will never be far from it. For most of the year they live in two types of herds. There are bachelor groups that contain males of all ages. Then there are breeding herds that contain adult females, young males and females, and one or two adult males. In the autumn breeding season the breeding rams chase all other males out of the breeding herds. The herds then contain either only males or only females. The most common herd sizes are between six and twenty. 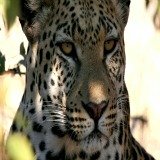 How do these African animals breed? There are very distinctive patterns during the breeding season. In January the adult males in the bachelor herds become aggressive as their testosterone levels rises. At this time they abandon their bachelor herds and seek out female herds. 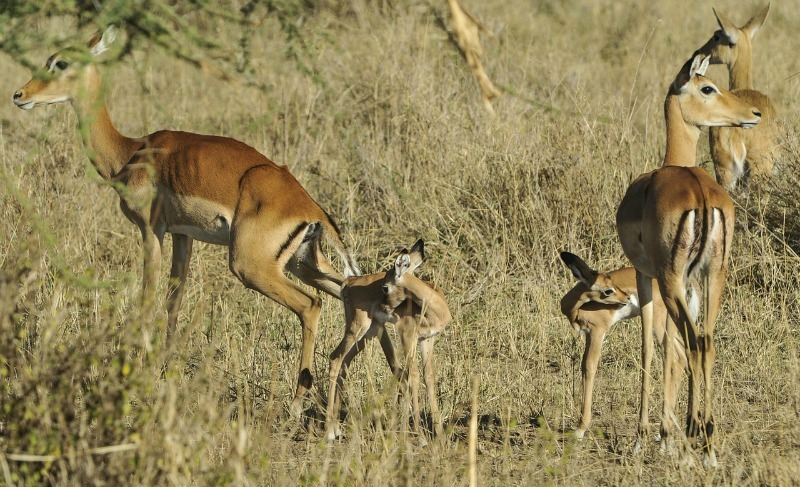 The impala males will start to roar and begin to fight frequently and quite intensely with challengers. They will also start thrashing bushes with their horns. 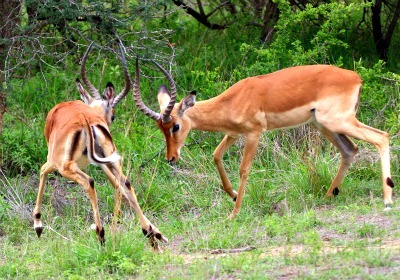 The males have horn clashes and pushing fights. The males that are in sufficiently good physical condition establish territories in the process. Most of the prime males are between four and a half and eight and a half years old. During the month of March a territorial ram starts herding females and chasing young males out of the breeding herds. Losers are pursued and gored in the flanks as they retreat. Serious injuries and fatal do occur. The winner will roar loudly as the loser retreats. A territorial ram advertises his status by patrolling his ground, roaring and scent-marking by rubbing the of his forehead and face on twigs and grass. While roaring he stands with neck stretched forward, his head tipped upwards and tail held out horizontally. They defecate and urinate in large middens. 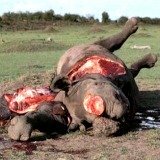 Intruders are threatened by making snorting noises, lowering of the horns and dipping of the head. He tests his females' reproductive condition and if one of them is on heat he courts her with his head low and his nose stretched forward, while bleating. If she is receptive he mounts her repeatedly for about 10 seconds at a time until mating is achieved. After successful copulation he roars and snorts. All of this is an exhausting routine and the body condition of the animal deteriorates rather quickly. This means fresher challengers usually appears after about eight days. 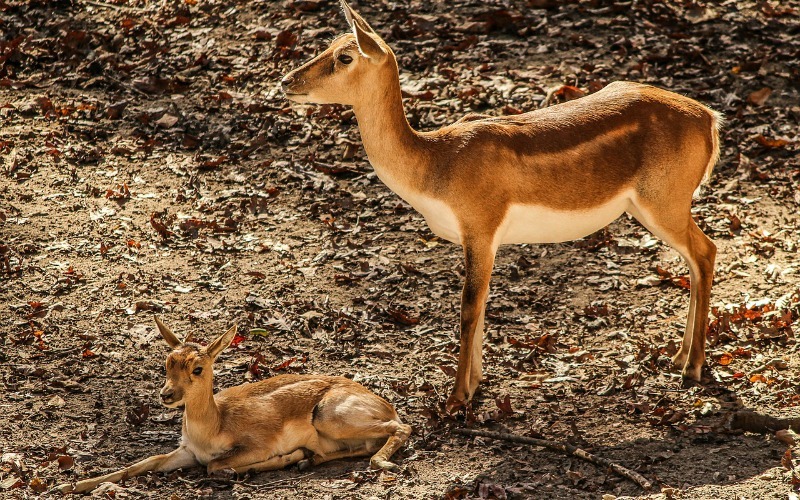 How do impalas protect themselves from predators? 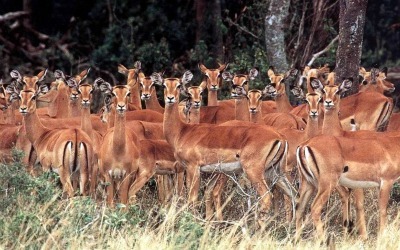 Herd surveillance of their surroundings is important for impalas. If one of them detects something suspicious it will give a loud snort. When they notice a predator in sight they will usually move away slowly. Sometimes they will even approach the predator to get a closer view. If attacked they scatter explosively in all directions in what seems a very unorganized chaos. They are experts at weaving through narrow gaps between bushes and trees. They can leap up to 3 meters high and cover 11 meters with a single leap. The sudden disorder makes it difficult for a predator to pick out and concentrate on a single target. 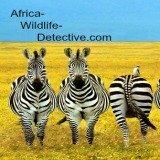 If you look closely you will notice the black patches on African wildlife's back legs. These patches surround a gland in the leg. In this process they then leave an airborne trail for the rest of the herd fleeing behind it.